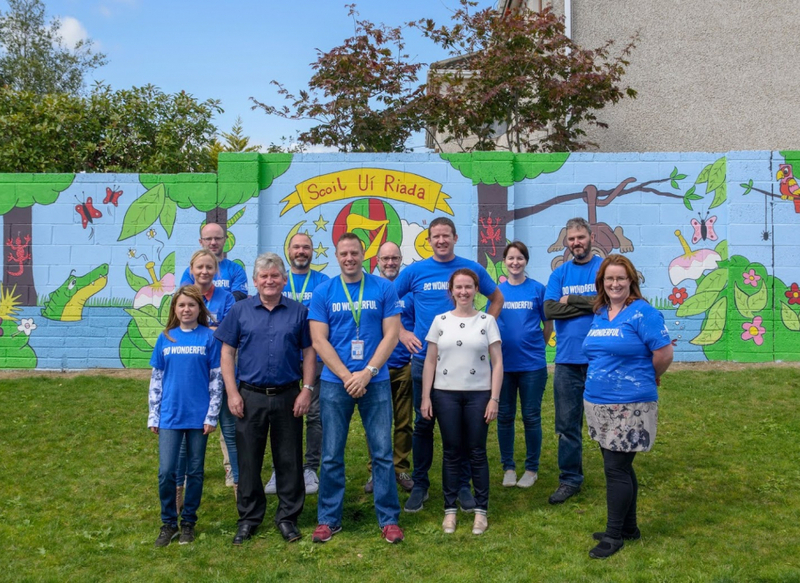 As part of the 50th Volunteering Challenge, the Analytical Labs team from Intel Ireland took on the immense task of converting a 55ft bare concrete wall into a colourful and mesmerising mural for the young kids at Scoil Uí Riada in Kilcock. 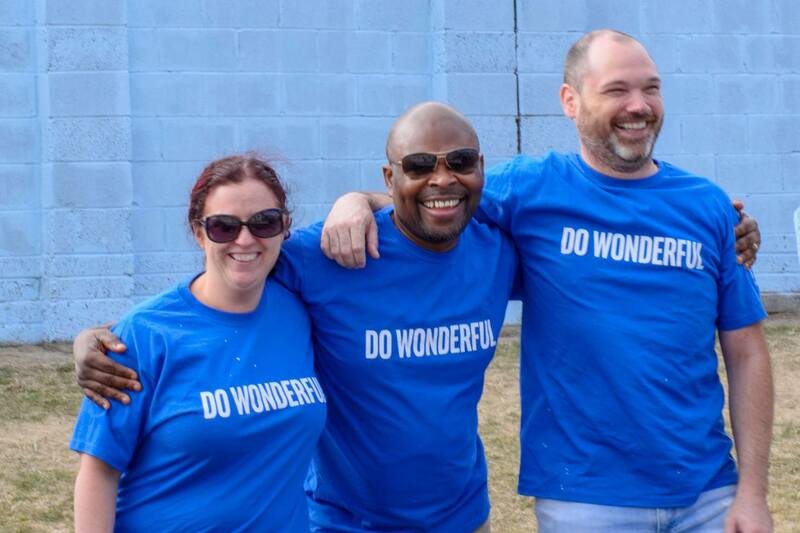 Along with the painting, the Labs Team took on the challenge of piecing together a unique design that runs central to the schools ethos. 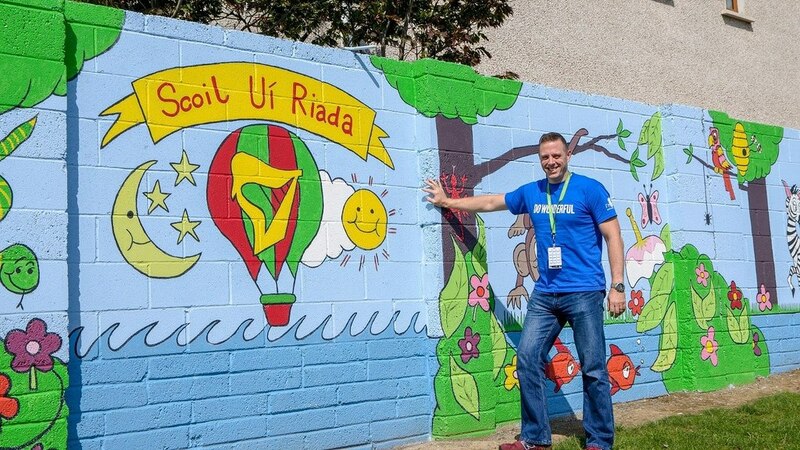 Anthony Hooper, a Failure Analysis Technician and an accomplished artist, worked with the school to compile a design that fitted the school’s request and the dimensions of the wall. To transfer the design to the wall, Anthony came up with an innovative solution. 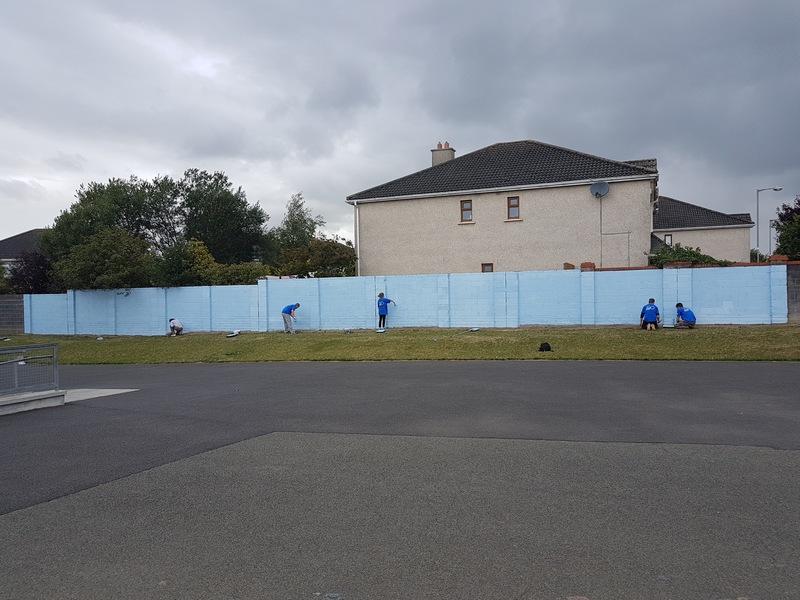 The team used a projector to project the design onto the wall in order to trace the lines and complete the painted design. 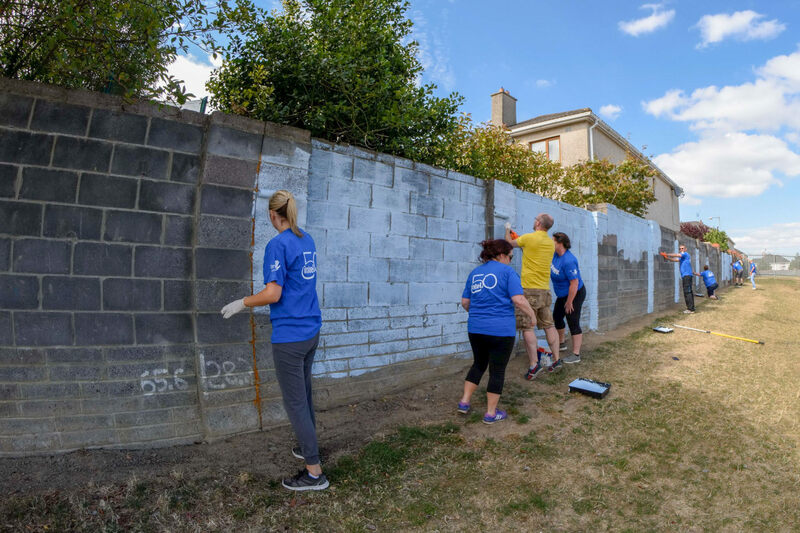 The summertime project meant that employees had to complete the session late at night, ensuring the projector light was visible. 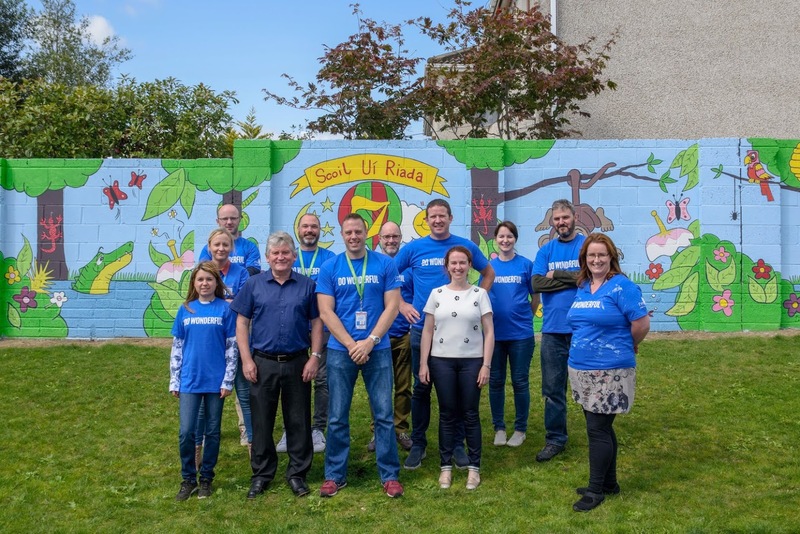 Over multiple visits to the school over a 5 week period, a team of 22 employees poured 175 hours of hard work into the mural. 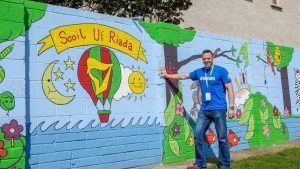 Getting so many vibrant colours included in the mural was a challenge –Anthony worked hard to mix the correct colour and tone with primary colours on site at the school. 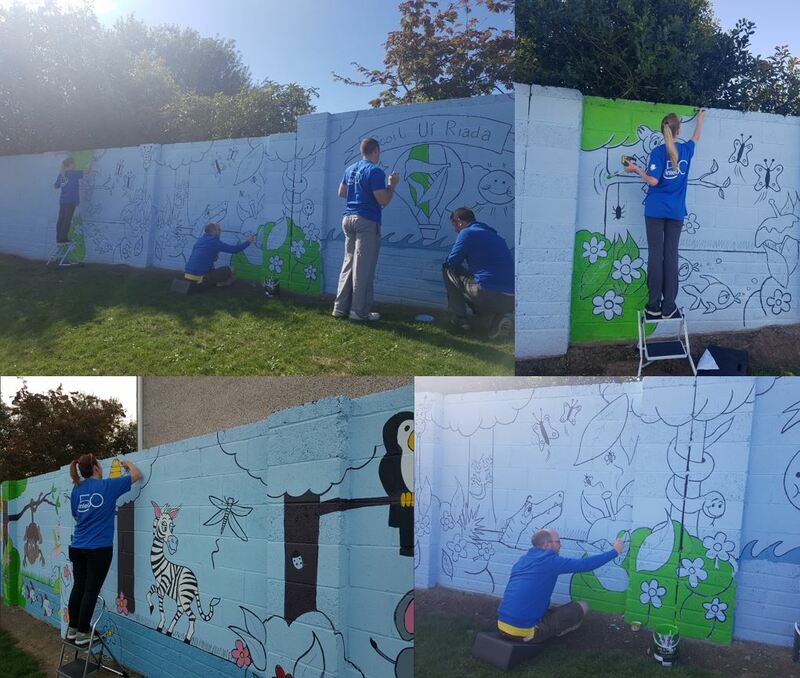 Applying the colours to the design was the most enjoyable part for the volunteers, as they found seeing the pictures come alive bit by bit to form a beautiful and fun looking mural very rewarding.